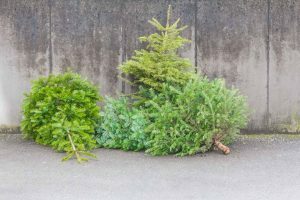 Residents are able to drop off their real Christmas trees at the Quidi Vidi Lake Parking Lot (large gravel lot off The Boulevard) from Friday, December 28, 2018 to Sunday, January 13, 2019 excluding December 31 and January 1 when the parking lot will be closed due to the New Years firework display. If the fireworks display is postponed until January 1, then the parking lot will be closed for the Chrstmas tree drop off until January 2. The Residential Drop-Off (Robin Hood Bay Waste Management Facility) from Thursday, December 28, 2018 to Saturday, January 12, 2019. Only natural, undecorated trees will be accepted – no artificial trees, decorations, tinsel or other man-made objects. Please do not bundle or tie the tree. All the trees collected are turned into mulch chips which are used in horticultural projects in the City’s green spaces.